We understand that each client and project is different, so we’ve	made a point of providing several options to suite your business needs. Rest assured, River City Shredding has the right equipment required to	handle your security and compliance need. 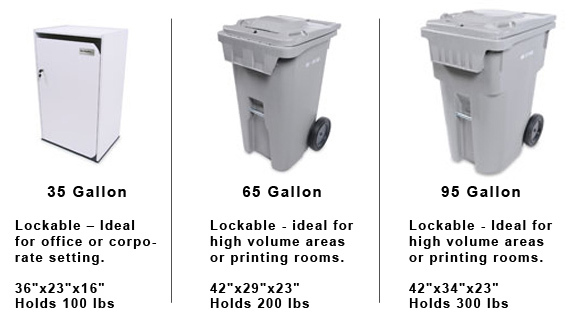 Below you will see examples of our	secure shredding containers. When selecting a container, take into account you service frequency,	volume, and office space.